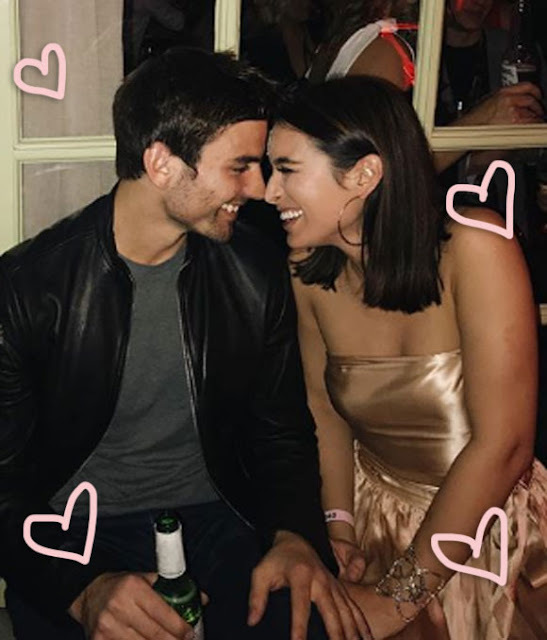 Ashley Iaconetti just set the record straight on whether or not she cheated on ex-boyfriend Kevin Wendt with now fiancé Jared Haibon. “I was dating Kevin like out in the real world for two weeks and Jared came out about his feelings and he kissed me in the airport,” Iaconetti said on her show The Ben & Ashley I Almost Famous Podcast. While Iaconetti says she has admitted to kissing Haibon when she was with Wendt previously, in Thursday she finally said the C-word — cheating. “And we had mentioned this before — I admitted before I was dating Kevin when Jared kissed me,” the reality star said. “Whether you call that cheating that is up to you, by most definitions that is true,” Iaconetti continued. Iaconetti also shared she was shaken up over what to do with Wendt because she felt he was a really good guy. The love triangle all came to light after Wendt implied Iaconetti cheated on him during the season 5 premiere of Bachelor In Paradise on Monday. “When Ashley and I left Winter Games, I knew I wanted to marry her one day,” Wendt explained on the show. “And then all of a sudden Jared flips the switch and now he wants to be with her. I did try to make it work, but if you kiss another guy while you’re dating someone else, that’s cheating in my book. That really hurt me,” Wendt added. Although it seems things between Wendt and Iaconetti may be a little tense, she credits him for her happiness. “I could not have been here if it weren’t for meeting Kevin,” Iaconetti said on her podcast before explaining that Haibon needed a “push” in order to get their relationship on track. “Jared even says, ‘Hey if it weren’t for him who knew how long it would have taken,'” Iaconetti added. In May, Haibon and Iaconetti officially became a couple after meeting on Bachelor in Paradise in 2015.